A new product from InFocus fits in your pocket and docks anywhere--even to an iPad. The Kangaroo from InFocus isn’t the smallest PC in the world, but among miniature computers it could be the most versatile. The $99 Windows 10 PC is small enough to fit in a pocket, and comes with a proprietary dock for connecting with external monitors over HDMI. 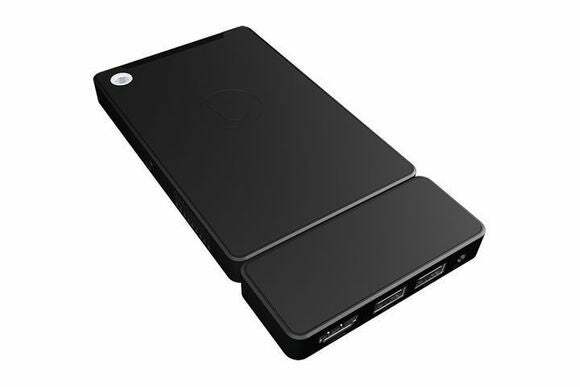 The idea is that you could buy multiple docks, each connected to their own mouse and keyboard, and tote just the computing module around with you. Of course, you can’t expect much computing power for $99. The Kangaroo uses an Intel “Cherry Trail” Atom x5-Z8500 processor, which typically appears in tablets, and there’s just 2GB of RAM on board. The module also includes 32GB of storage, a microSD expansion slot, and a fingerprint reader. An internal battery runs for about four hours with casual use, with MicroUSB charging. 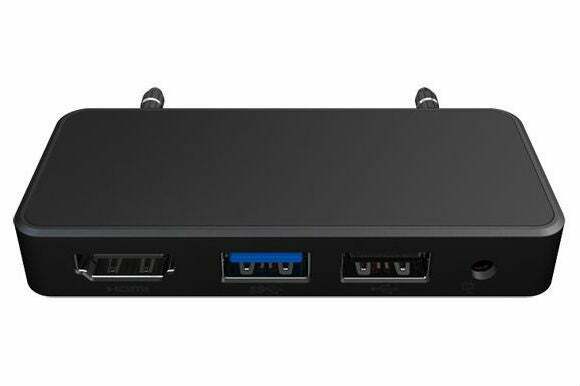 The dock includes USB 2.0, USB 3.0, HDMI output, and a charging port. Kangaroo’s proprietary docking station is required for monitor output.